Wet Organics Lubricant 5oz (148ml) is a unique Organic Aloe Based Lube that is made organic quinoa, hemp, flax, green tea and oat extracts rich with vitamins and antioxidants. This premium organic lubricant formula rejuvenates your skin and your senses. Features: pH balanced. Optimal osmolality. Wet Organics is compounded with high grade extracts that moisturize, protect and rejuvenate your most intimate areas. It is latex friendly and rinses away easily with warm water. It will leave your skin feeling soft and never sticky. Wet Organics can be used with most adult toys. The all natural Eccocert Tremella Fuciformis extract used in Wet Organics is a widely popular anti-aging supplement. It’s effects are due to very small particles that retain 500 times its weight in water, allowing the skin to absorb and retain more water. 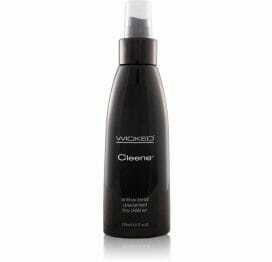 When used on wrinkles it causes a plumping effect that reduces the appearance of fine lines. Wet Lubricant uses Tremella Fuciformis in Wet Organics to prevent senile degeneration (the breaking down over time) of micro blood vessels within the skin and keep blood flowing through the skin optimally. Quinoa has high levels of magnesium to promote skin elasticity and regenerate skin cells, while vitamin B2 (riboflavin) builds up connective tissues and is integral to cell reparation. Sodium Hyaluronate helps to hydrate skin and keep it moist and supple. These tiny molecules can hold up to 1000 times their own weight in water. Because the skin naturally loses its water composition as it ages, Sodium Hyaluronate can replace some of the water lost in the dermis, and potentially fight dryness and help to plump and firm skins elasticity. 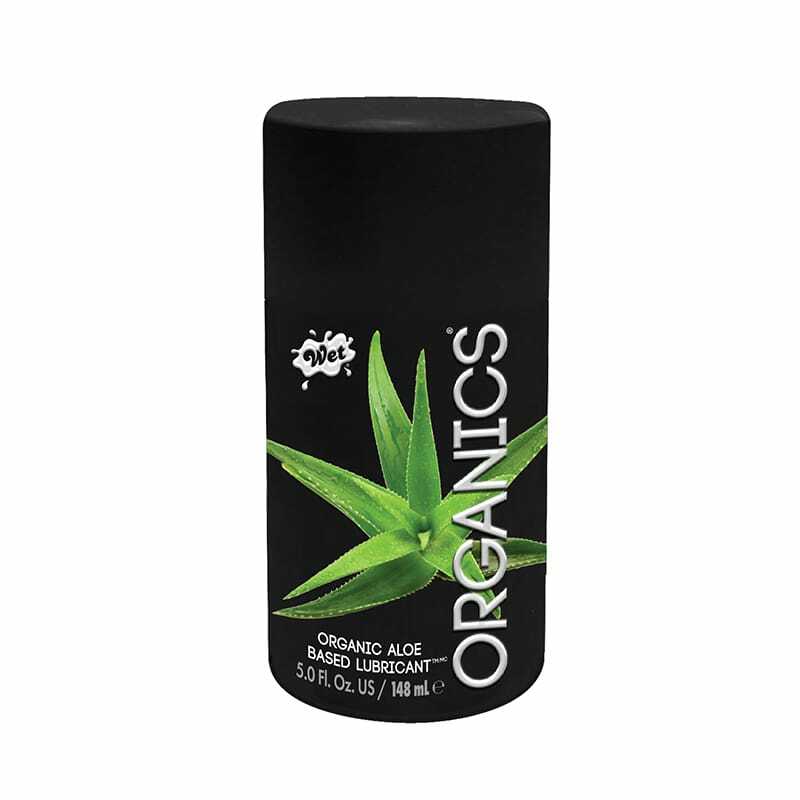 Wet Organics is formulated without Glycerin or Parabens for those who are sensitive to them. Parabens are used in many other lubricants but they are linked to irritation in those with Paraben allergies. Ingredients: Aloe Barbadensis Leaf Juice, Propanediol, Tremella Fuciformis Mushroom Extract, Gluconolactone, Sodium Hyaluronate, Chenopodium Quinoa Seed Extract, Cannabis Sativa Seed Extract, Linum Usitatissimum Linseed Seed Extract, Camellia Sinensis Leaf Extract, Avena Sativa Oat Kernel Extract, Hydroxyethylcellulose, Xanthan Gum, Sodium Benzoate, Potassium Sorbate, Citric Acid. 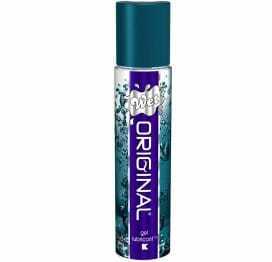 Contains 5 fluid ounces (148ml). Made in the USA.